That was the best off-site wine tasting I have attended – you did a great job organizing and the details – such as the local artisanal fromageries and the cucumber water made it as special as the venue – congratulations! Oh yeah, the wine was good too! Please keep us posted on other Savvy Company events. How could you start a visit to the Sonoma/Napa area without a stop in San Francisco? It was a brilliantly sunny day when we arrived, ever-present wisps of fog drifting over the hills as we gazed out across the Pacific Ocean. San Francisco offers endless delights, from Boudin’s unique sourdough bread to Tarantino’s fresh seafood at Fisherman’s Wharf. We did all the requisite things, riding the cable car up and down the hills downtown – several cars survived the great earthquake and fire of 1906, as we learned at the Cable Car Museum and operations centre. Fisherman’s Wharf swarmed with Labour Day weekend visitors, the sea lions oblivious, as they floated alongside docking fishing boats, hoping for scraps. We visited the Mission of San Francisco de Asis (guess where the city’s name originated), which opened in 1776, days before the American Declaration of Independence was signed, and also survived intact the great 1906 earthquake and fire. Muir Woods induced awe and reverence, the never-logged forest home to giant redwoods as much as 1000 years old. And everywhere we stopped for lunch or dinner, an endless range of California wines was available for sampling. We made our way north to Sonoma County, and from our excellent B&B there, Mediterranea, visited a number of wineries in Napa Valley and Sonoma. We also spent a day travelling out to the Pacific coast, and had an absolutely amazing lunch at the River’s End Restaurant in the small town of Jenner. Don’t miss it if you are visiting the north California Coast! Born into the Torres wine family, Marimar Torres has been immersed in the industry all her life. With degrees in business, education in oenology and a facility for languages, she was the ideal ambassador for Torres wines in her early career. After establishing her home in California, she focused her energies on increasing awareness of Spanish wines in North America. Ten years later, the sale of Torres wines in the U.S. had grown ten-fold, and Marimar was ready for the new challenge of establishing Marimar Estate Vineyards & Winery. The Don Miguel vineyard surrounds Marimar’s winery and tasting room, designed in the style of a Catalan farmhouse. Located in the cool climate Russian River Valley and named for her father, it was first planted in 1986 and now includes 81 acres of which 45 are planted principally to Pinot Noir and Chardonnay, with growing plantings of Albariño, Syrah and Tempranillo. Marimar has also recently planted Godello, a white grape variety that grows in Galicia, like Albariño, and produces attractive dry white wines. The Doña Margarita vineyard, named for her mother, is located in the cool Sonoma Coast AVA, the 20 acres planted solely with Pinot Noir. Marimar describes the differences between the Pinot Noir from the two vineyards as follows: the Russian River Valley Pinot is more opulent, with intense flavours of black cherry and wild berry, while the Sonoma Coast Pinot has an earthier character, similar to Burgundian wines. Marimar Estate vineyards are all certified organic, while biodynamic principles are applied in all phases of vineyard management and winemaking. According to Marimar, since the conversion to organic principles, the wines from each block have become more expressive of their unique terroir. To ensure the quality of the fruit, thinning takes place right after fruit set; leaves are regularly removed to ensure access to the sun; vines are trimmed by machete to remove excess top growth; and at veraison, excess grape bunches are removed to further concentrate flavour in those remaining. Hand harvesting, with several passes through the vineyard, ensures that only ripe bunches are picked. As part of its commitment to sustainability, the winery has recently completed investments that allow it to meet all energy requirements through solar power. Marimar continues to direct activities in the winery, established in 1992, as well as the vineyards. She has not limited herself to viticulture and winemaking, but has also published two authoritative books on Spanish cuisine, The Spanish Table and The Catalan Country Kitchen. The Torres family history in the vineyard and in winemaking dates back many generations in Spain, and while responsibility for the business has traditionally passed from father to son, Marimar is setting new traditions in the U.S., where her daughter Cristina, who grew up in the vineyards and is currently pursuing an MBA at Wharton, is the natural successor at Marimar Estate. Due to very limited production – ranging from 5,000-10,000 cases depending upon the vintage – some wines are only available to wine club members, with only a limited number finding their way to Ontario. The 2014 ‘Acero’ Chardonnay was recently released in Vintages. We had the opportunity to try the new 2015 vintage at the winery (see the notes below). The fruit for the wine comes from the Don Miguel vineyard and is especially selected for intensity and aromatics, the grapes fermented in stainless to retain the unique character of the fruit. Several other wines were tasted during our visit to Marimar’s Russian River Green Valley estate. These included her Albariño 2015, which offers lovely floral aromas, stone fruit and citrus flavours and a lively, crisp texture; the ‘La Masía’ Chardonnay 2014, showing alluring aromas and flavours of stone and tree fruit, a refined, creamy texture, and finely honed acidity to balance the rich fruit; the ‘La Masía’ Pinot Noir 2013, where cherry/berry, sweet spice and a whiff of citrus are underpinned by fine tannins and clean acidity; and the ‘Mas Cavalls’ Pinot Noir 2013 from the Doña Margarita vineyard, where this more feminine Burgundian wine offers classic aromas of red cherry, mineral notes and underbrush, framed by subtle tannins and lively acidity. A lovely pale gold, this brims with fresh aromas of sweet woodruff, citrus, pear and quince. Dry, mid-weight, silky yet juicy and lively in texture, this unoaked Chardonnay freshens the palate with flavours of crisp apple, pear and lemon curd, delivering a lasting, tangy finish. Enjoy chilled on its own or with fresh seafood. Located just south of the quaint Sonoma County town of Healdsburg, the Rodney Strong Vineyards tasting room is surrounded by some of the founder’s extensive original vineyards. Not only can you take a self-guided tour, or taste flights of wines on the terrace, Chef Tara Watchee has developed a finely balanced wine and food pairing experience where both components shine. As an example, the lively red fruit flavours of the 2015 Rosé of Pinot Noir were complemented by a salad of watermelon, grilled corn, basil, Black Pig bacon, verjus and estate olive oil. The winery was established in 1959 by acclaimed dancer and dance producer, Rod Strong, who had fallen in love with wine while working in Paris. Under his innovative direction, the winery thrived for over 40 years, achieving milestones such as the first single-vineyard Cabernet Sauvignon – Alexander’s Crown – which is still produced to this day. He was one of the first to plant Pinot Noir in the Russian River Valley, and the first to produce a ‘Chalk Hill’ Chardonnay. As Rod Strong was developing his wines and reputation in Sonoma County and beyond, Tom Klein was pursuing his education and subsequent career as a management consultant. With the long Klein family history and experience in farming, Tom must have seemed the ideal partner to Rod Strong when they established a consulting relationship. Eventually, the Klein family purchased the winery in 1989, then set about acquiring additional vineyards, so that they now manage 14 outstanding estates encompassing in the order of 1400 acres, all in Sonoma County, ranging from the Alexander Valley in the north out to the Sonoma Coast. The range of vineyards and terroir ties into Tom Klein’s strong belief in the importance of place in winemaking – “Place isn’t the only thing, but place is the most important thing”. Rodney Strong wines are produced using only Sonoma County fruit and are made to Tom Klein’s exacting maxim – NO shortcuts. With the goal of building a range of premium wines, David Ramey was hired as consultant and the ‘Artisan’ cellar was created, using smaller fermentation tanks to allow for fermentation of select rows of fruit, while additional investments were made in French oak barrels. Experimentation continues and has extended to the purchase of concrete Roman eggs for fermentation, and now to the creation of the square tank cellar, an extraordinary investment. Winemaker Justin Seidenfeld has worked with LaGarde Inox, a unique steel tank producer based in Quebec, to invent, design and produce special 6000 gallon square fermentation tanks. We’ve all seen the standard round steel tanks with dimpled cooling jackets. You may ask, why are these square tanks such an improvement? For one, they use space in the winery much more efficiently, and they have a variety of unique and highly beneficial features. As an example, autumn days are often quite warm in Sonoma County, so harvested grapes arriving from the vineyards may heat up and be at risk of spontaneous fermentation. These tanks were specified to provide more cool surface area to grapes, permitting the rapid cooling of grapes as they arrive from the vineyard – voila, reduced risk of spontaneous fermentation. A specially designed pump aperture ensures the pumped over wine covers the entire breadth of the tank, providing for better contact with the cap. Further, the shape delivers more surface area of juice to cap, providing for better extraction of colour and flavours, more softness and suppleness to the wine (as proven in blind tastings by the Rodney Strong winemaking team and owner Tom Klein). The special polishing process for the insides of the tanks, which was jointly developed by Justin and LaGarde’s engineering team, reduces water consumption for cleaning and sterilization by 50-70% (critical in drought-stricken California). Justin speaks with passion and excitement about the opportunities these tanks provide for him to enhance the quality of Rodney Strong wines, as well as the sustainability of the winery operations. It’s not surprising that this Rodney Strong innovation is now being adopted by numerous other highly reputable wineries in the U.S.
With his family background in farming, Tom Klein is strongly committed to sustainability in the vineyards and the cellar. Environmental protection is an integral part of the organization’s corporate values. Solar panels were installed as early as 2001, and along the way, Rodney Strong Vineyards has developed practices that allow them to be designated Fish-Friendly Farmers. Recently, they became Sonoma County’s first carbon neutral winery. We’re fortunate that many Rodney Strong wines find their way through the Vintages program to the LCBO. Many of those wines were tasted during the visit, and I’ve included notes on a few of them below. Notes of tropical fruit and butter, vanilla custard and hints of mineral grace the nose of this wine, produced from fruit grown on the unique volcanic white ash soil of this sub-appellation in the Russian River Valley. Dry, medium-full bodied, it’s rich and creamy in texture, yet retains freshness that is a perfect match for the lush flavours of lemon curd, sweet apple and pineapple. The mineral quality is subtly present on the palate, while nuances of warm baking spice linger on the tangy finish. Serve with pasta garnished with shrimp and scallops sautéed in olive oil and garlic. Davis Bynum is recognized as the first winery to create, in 1973, a single vineyard Pinot Noir from Russian River Valley fruit. Rodney Strong maintains the tradition with this semi-transparent ruby gem. Notes of vanilla and sweet baking spice layer on aromas of ripe cherry/berry, complemented by earthy nuances. Dry, medium bodied, there’s a lovely freshness to the texture, well paired with the wealth of ripe red cherry and plum flavours. Delicate notes of warm spice, vanilla and cedar emerge and linger through the lengthy, tangy finish. Serve with a Provençal salad with duck confit. Produced from a blend of fruit from the valley, this approachable wine offers lively aromas of red fruit, hints of earthy roast beetroot, and notions of spice and dried herbs. Dry, light-medium bodied, it’s bright with well-defined acidity and juicy with flavours of red cherry and plum, light hints of smoky oak and spice persisting through the vibrant finish. Serve with cedar-planked salmon. We planned visits at two Gallo estates, and then made a quick stop at Louis M. Martini given its long history in the Napa Valley. Although the Gallo family has purchased a number of wineries and vineyards over the years, one of the themes that came through during our visits is their focus on retaining the unique character of the wines produced at each of the estates, while investing in the infrastructure and equipment that will honour and maintain the legacy of the original founders. E.&J. Gallo Winery remains a family business with goals of being a leader in the U.S. wine industry and a leading supplier of California wine internationally. After graduating with a degree in geology in his home state of Oklahoma, Bill Hill headed off to Europe. He fell in love with wine and headed to California on his return, to complete an MBA at Stanford, after which he began working in the Napa Valley. He arrived just after the 1976 Judgement of Paris had vaulted Napa Valley wines to global prominence. Given his interest in wines, he decided to purchase a 200-acre former cattle ranch on the bench lands of the Valley and in 1978, planted his first Chardonnay vines. Bill soon realized that the intense sun and heat on his property scorched the grapes; the initial vines were replaced with red Bordeaux varieties and for several years he sold his grapes to local wineries. In 1990, the winery was built and the first wines branded William Hill Estate Winery were created. Despite his success, Bill decided to sell the winery in 1992, and has since watched its evolution from his nearby home. In 2007, the estate became a property of the Gallo family, with substantial investments made to upgrade the tasting room as well as the winery itself. Of the 200 acres, 125 are planted to vines, the bulk being Cabernet Sauvignon. William Hill wines are crafted with grapes from the estate on the Silverado Trail, as well as from fruit from vineyards in southern Napa, the Central and North Coasts. The wines currently available at the LCBO include the Napa Valley Cabernet Sauvignon 2012 as well as the 2012 Chardonnay. Since then new 2013 vintage was tasted at the winery, and I expect these wines will be in a Vintages release in 2017, I’ve included my notes below. Tasted at the winery, but not available locally, were the 2015 Sauvignon Blanc, with lovely notes of white flowers and fine herbs, tropical fruit and citrus, wrapped in a vibrant texture; the lush ‘Bench Blend’ Chardonnay 2013, the creamy texture balanced with good acidity, infused with lovely flavours of pineapple, tree fruits and lemon vanilla custard; and the opulent ‘Benchland Series’ Cabernet Sauvignon 2013, a full-bodied powerhouse with robust dark fruit flavours layered on well-integrated oak and velvety tannins. Deep purple, this Cabernet is aged in French and American oak, a touch of Petite Syrah and Merlot giving added depth and complexity. Perfumed with aromas of ripe red fruit and juicy black berries, it hints at vanilla and sweet spice. Dry, full bodied, the wine displays perceptible yet supple tannins, well-integrated oak that offers notes of cinnamon toast and vanilla and a fresh texture. Bright, lively raspberry, black cherry and berry are fresh on the palate, rushing through the dry, toasty finish. Serve with beef short ribs. Blended from fruit from several vineyards, aged in French oak, this elegant Chardonnay offers lifted aromas of tree fruit, citrus and pineapple, vanilla custard infused with sweet spice. Dry, on the full side of medium bodied, the palate is lush with flavours of pear, tangy apple and lemon zest, underpinned with a refined backbone of acidity. The creamy texture and spice bring to mind creme brûlée, while delicate notions of white pepper add warmth to the long finish. Deftly balanced. There’s an incredible story behind this long-lived winery. The Martini family emigrated to the United States and worked as fishermen on the west coast in the early 20th century. From tasting local grapes, and then making wine for consumption by the family, young Louis M. Martini developed an interest in winemaking and eventually returned to Italy to study winemaking at the University of Alba in Piemonte. By the time he returned to the U.S., Prohibition had come into effect, making it difficult for him to pursue his passion. Nevertheless, since the family had grape holdings, they found ways to use their grapes for the production of sacramental wine, for medicinal use and in legal home winemaking kits. As it became clear that prohibition was coming to an end in the early 1930s, the family moved its operations from the Central Valley to Sonoma, opening their new winery near St. Helena in 1933, one of the 5 original Napa wineries to be founded after Prohibition. Within 2 years, they had more than doubled production and sales, and in 1936, pioneered the use of temperature-controlled fermentation. The St. Helena site continues to be the base of their operations, and is where Louis M. Martini passed on responsibility for winemaking to his son Louis P. Martini in 1953. Louis P showed great creativity, and has been credited with creating the first wind fan used in the vineyards, with bottling the first single varietal wine – a Merlot (previously, wines were simply blends of the grapes in any given vineyard), and with first experimenting with fermentation in steel tanks. His son, Mike Martini took on responsibility for winemaking in 1974, and continued as winemaker until 2015, seeing the family business through the transition in 2002 to ownership by their friends, the Gallo family. The Martini winery offers an incredible legacy, including vineyards of bush vine Zinfandel planted in the 1880s. Opaque ruby with violet highlights, this offers captivating aromas of spiced rose, raspberry and blackberry, with a dash of spice and cedar. Dry, robustly full bodied, the wine offers great fruit intensity balanced by a fresh texture and soft tannins. Long and dry on the finish, this is an approachable, well-crafted wine offering great value. J Vineyards is the legacy of Judy Jordan, who grew up in her family’s vineyards in the Alexander Valley. Determined to travel her own road, she studied geophysics at Stanford University and, in 1986, bought an old prune factory and some surrounding acreage with the idea of making sparkling wine. Her first method traditionelle wine was released in 1991. Due to her success with sparkling wines – and despite the naysayers – she decided to beginning making still wines- Chardonnay and Pinot Noir – the first of which was released in 1994. Unfortunately, the great Russian River flood of 1995 completely destroyed her entire operation and inventory. Determined to re-establish her business, she purchased the current property in Sonoma County in 1996, completing the winery in 1999. The site includes a remarkable ‘tear drop’ shaped vineyard which includes 20 clones of Pinot Noir on a half acre, allowing the winemakers to experiment with blending. The site also includes the Cooper vineyard, planted with Pinot Gris, and the Backdoor vineyard, home to Pinotage. The balance of the 200 acre estate properties are spread throughout the Russian River Valley. After years of successful production, and having sold grapes for many years to the Gallo family, Judy retired from the business and took advantage of her established relationship to sell J Vineyards to the Gallo family in 2015. At J Vineyards, we tasted the Brut Rose, composed of 66% Chardonnay, 33% Pinot Noir and 1% Pinot Meunier, a clean, fresh wine showing a delicate and persistent mousse and lovely subtle notes of red fruit. The Cuvée 20 is an almost equal blend of Chardonnay and Pinot Noir, again with the 1% Pinot Meunier, offering nuances of butter pastry, fresh citrus and tree fruit, the characteristic creamy, lasting mousse, and a lovely touch of pithiness through the finish. The Russian River Valley Pinot Noir is composed from the fruit of 12 different clones from 4 vineyards. It’s a dry, mid-weight wine with classic cherry cola aromas and flavours complemented by attractive notes of warm spice and toast from French oak barrel aging. Produced from estate grown fruit, aged in French oak (30% new) , this wine offers lovely tropical and tree fruit aromas, hints of citrus, sweet spice and vanilla. Dry, medium bodied, the creamy texture brings to mind vanilla custard, lemon curd with a dash of zest, and ripe tree fruit. The wine retains its freshness and offers a touch of warm spice through the flavourful finish. Serve with roast lemon rosemary chicken. Quick…before we SELL OUT! 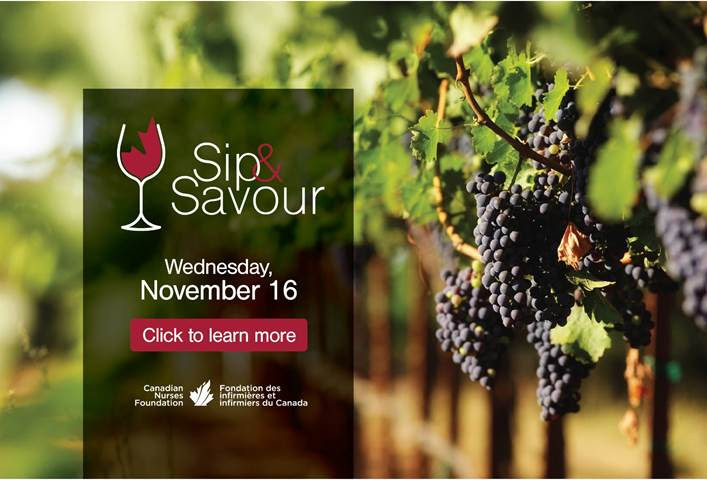 Want to sample wines, artisanal spirits & ciders from EVERY corner of Ontario? Then get your tickets now to this Outstanding in their Fields Taste & Buy – where you will meet the makers of . 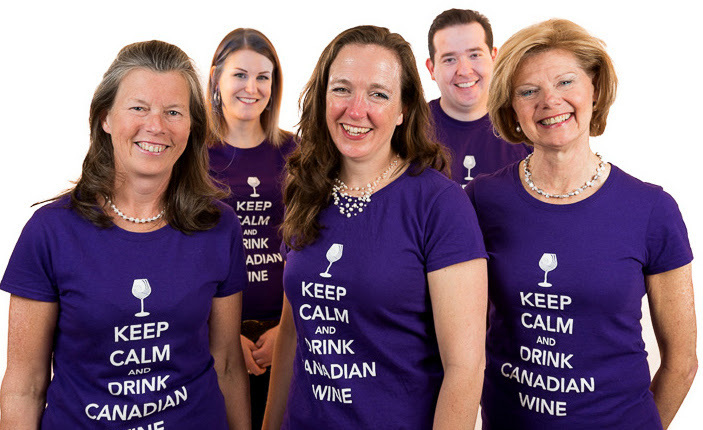 That’s right…Prince Edward County, Beamsville Bench, Niaraga-on-the-Lake & for the first time ever, a winery from Lake Erie North Shore AND the Ottawa Valley! How cool is that?!? You name it…we’ll have it to TASTE & BUY! 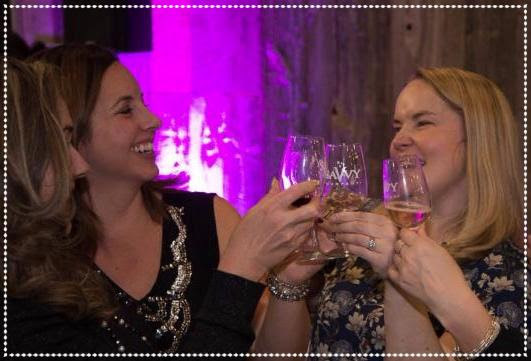 Bubbles, white, red & dessert wines, refreshing ciders along with artisanal gin, vodka & rye….there will even be outstanding artisan chocolate too! Get ready to sample & stock up for the holidays. EXTRA BONUS! FREE shipping when you order 6, 12 or more bottles of ANY combo of your new found favorites. Be a Very Important Taster! This extra-special pass is only an additional $25 & provides you advance access to spend more time mixing & mingling with the makers and most of all sampling their products. With your V.I.T. pass you can arrive at the Taste & Buy anytime between 5 to 7pm…then stay as long as you like for the main event. Only 125 passes available. Get Ready to Sip & Stock up! 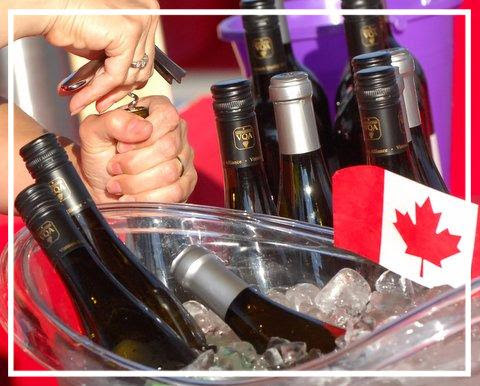 This Taste & Buy event will feature outstanding wines, ciders, artisanal spirits that you probably haven’t tried before… you definitely won’t find them at the LCBO. This event is the perfect opportunity to stock up for the holiday entertaining & gifts. To help you prep your power shopping, we will email you the list of everything that will be showcased. All parcels will be hand delivered by courier to your home or office – now that is convenient! Now this is an OUTSTANDING offer. Order ANY combination of 6, 12 or more bottles from ANY of showcased wineries, distillery or cidery & shipping is FREE. Unable to join us but want to order? No problem. 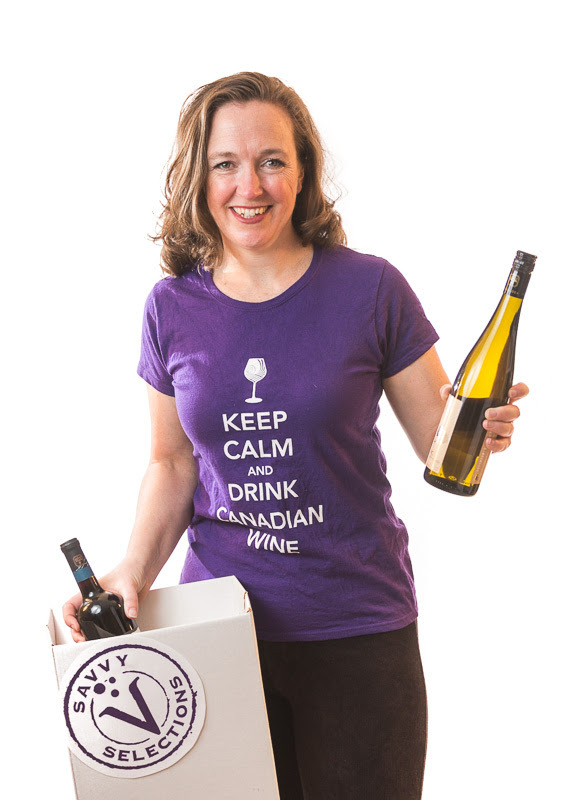 The Savvy Team would be delighted to make arrangements for your wine delivery – simply call us 613-728-8926 or order online. And…there’ll be Outstanding views too! You’ll oooh & ahhh at the panoramic view of the city lights from the 29th floor of the Ottawa Marriott Hotel. The room will revolve all night long. Check out the fun photos from our last Taste & Buy. Fancy a trip to The County? It is harvest time in wine country! 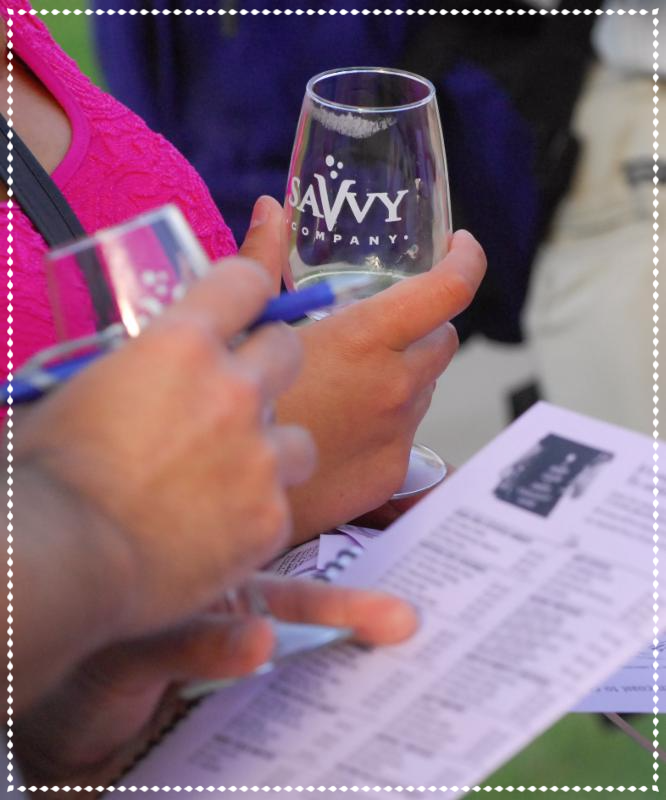 The Savvy Bus is heading to Prince Edward County on Saturday September 26 with our Savvy Sommeliers will be your tour guides. There is always a great buzz at this time of year, so why not join us to experience it first hand? Hop on board, sit back & relax in our luxury coach as we explore the backroads of Prince Edward County. 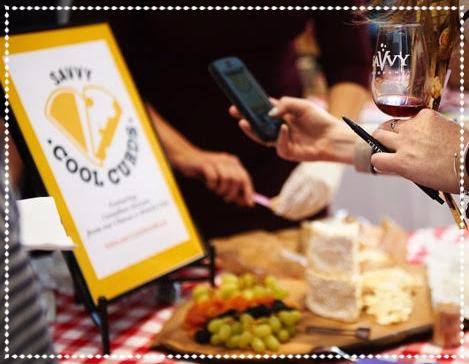 We will stop in Picton to take in TASTE – Community Grown, a farm-to-table festival where you will meet The County’s finest winemakers, chefs, brewers and farmers too – all under one roof in the historic Crystal Palace. 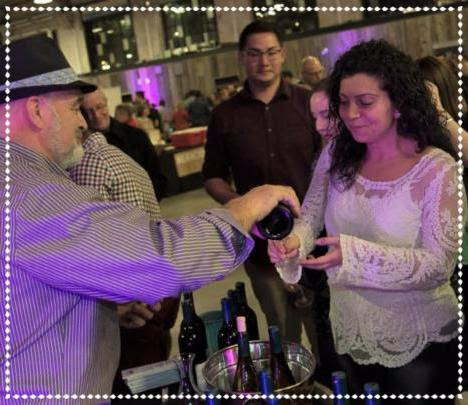 Sip & sample the great wines & craft beers from the region…and even buy bottles to bring back home. Being in the height of harvest, there will be a bounty of farm fresh produce & gourmet goodies too. This is the region’s premier food & wine market, celebrating their culinary community from farm to table. Chefs, winemakers, craft beer producers and farmers will all gathered in the same place on the same day. You can shop till you drop too! Take home fresh produce of the season, one-of-a-kind products from our local farmers & Ontario VQA wines directly from participating wineries. After taking in TASTE, we will head off to visit wineries. First stop – Traynor Family Vineyards, the newest in The County. Mike Traynor purchased the property back in December 2008 when it was just a frozen cornfield but he could see his vision from that moment. Since then, family & friends have been invited to the vineyard to assist with some consuming tasks. With hard work…there are fun times too! Traynor hosts a number of events such as Prunapolooza and Harvest Soiree’s, which have been a great way to allow people to become part of the wine making process and to leave with a warm memory and wonderful experience from The County. Mike’s parents are retired and have purchased a place nearby the vineyard so…they are always on the ready to lend a helpful hand. On weekends, often Mike’s wife Rebecca and son Quintin are seen around the vineyard too. The winery opened it’s doors Labour Day weekend of 2014, and since then, Mike’s vision of creating a comfortable space where people can come visit and enjoy has become a reality! Next stop will be at Keint-He Winery & Vineyards a Burgundian inspired winery right here in Ontario that produces Pinot Noir with international character. Unlike many grape producers, at Keint-he they like to think of their vineyards as ‘a habitat for the vines’. “Our Pinot grapes prosper in harmony with their environment, not in spite of it”, explains co-owner Bryan Rogers. They’ve applied the Burgundian model of viticulture to The County microclimate. That means that the 28 acres of vines that they’ve planted now, will never exceed 35 acres – this is high density planting and they believe in it. Keint-he produces domestic wines that exhibit European minerality and acidity. The vines are lovingly raised in the limestone rich soils of our three distinct and unique vineyards. The grape growing & winemaking team at Keint-he only focuses on those grape varietals that most effectively showcase the terroir of the region. 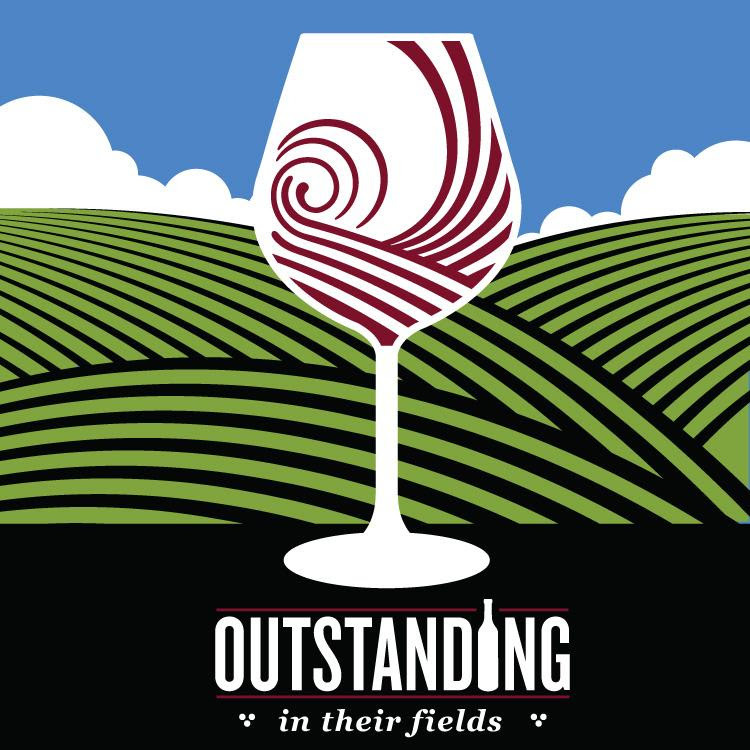 The result is award winning, terroir-based wines that reflect our standard for quality and the character of the region in which they were produced. 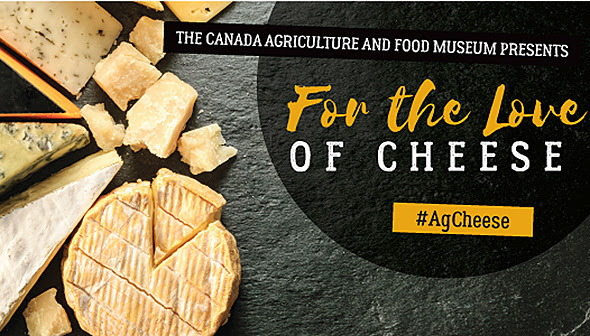 To finish off our day, a light dinner will be provided by Bloomfield’s own Agrarian Cheesemarket & Speakeasy and served amongst the vines of Keint-he Winery. Agrarian Chef, Neil Dowson, likes to takes advantage of the wonderful produce this area has to offer as he shares his modern spin on classic comfort food and the result is delicious! From the farm, dairy, bakery and winery right to your table. On your next trip to The County, be sure to stop at the Bistro to pull-up a chair, enjoy great food and soak up the rustic warmth of our dining room. What is a Speakeasy you ask? Well according to the dictionary it’s ‘a place where alcoholic drink was sold illicitly during Prohibition’ and it comes from speak + easy (in the sense: gently, quietly). At the Agrarian’s Speakeasy it is a funky space featuring craft brews on tap, great ciders, wine and killer cocktails. Live music on Saturday evenings are just a few of the fun events this place has to offer. Food, drink, friends! Price includes absolutely everything! Roundtrip transportation in a luxury coach, Sommelier guides, admission to TASTE, winery tours, dinner in the vineyard & good ol’ HST. The Savvy Bus will depart downtown Ottawa at 8:30am from the Ottawa Marriott (100 Kent St). We will pick up passengers at the new BRIDGEHEAD Coffee Shop in the Pinecrest Mall & Starbucks at 1151 Division Street (near the 401) in Kingston. Our plan is to arrive at TASTE by 11:30am. 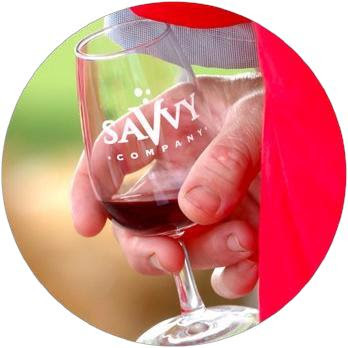 At 3pm, the Savvy Bus will continue our road-trip with a drive through Picton, take the scenic route along the Loyalist Parkway to Traynor Vineyards for a tour & tasting, then onwards to Keint-he Winery where we will be treated to a dinner surrounded by vineyards. By 8pm, the coach will depart for Ottawa. The fun filled day (and a delicious one at that) should wrap up around 11pm when we return back to Ottawa. Everyone is welcome to join us on this roadtrip!